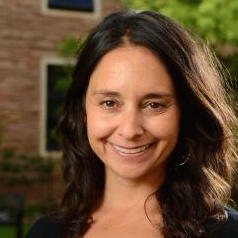 Jamy Stillman is an Associate Professor of Education in the division of Educational Equity and Cultural Diversity at the University of Colorado Boulder. Her research explores the factors that shape teachers’ capacities to deliver equity-oriented, responsive instruction in high-poverty schools serving minoritized youth, especially Spanish-English bilingual students. Using qualitative methods, Jamy focuses primarily on two factors—education policy (e.g. high-stakes accountability policies and standards-based reform) and features of university teacher education—to generate understandings about pre-service and practicing teachers’ learning and work across contexts, and the implications of this work and learning for culturally and linguistically diverse students’ opportunities to learn. Jamy is also becoming increasingly interested in questions surrounding the preparation of urban teacher educators.